Every year for Valentine's Day I make these delicious DIY tootsie rolls. Not sure why I don't make them the rest of the year - they are tasty, easy & fun to make. No real cooking required, so virtually goof-proof too! And the kiddies love helping with them, so you can justify making candy as a bonding experience. I know I do. 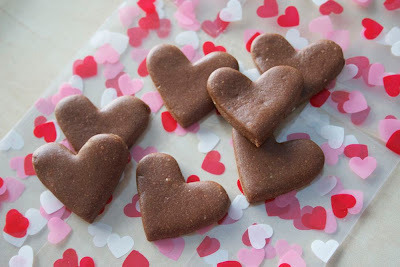 I shared the recipe here last Valentine's Day, but Sew Can Do's gotten a lot more readers since then, so I'm bringing it back this year for everyone's treat-loving pleasure. Melt chocolate & butter (super easy method: pyrex cup in microwave on low for 45sec). Mix with salt, syrup, vanilla, & dry milk. Adding about a cup at a time knead in powdered sugar. 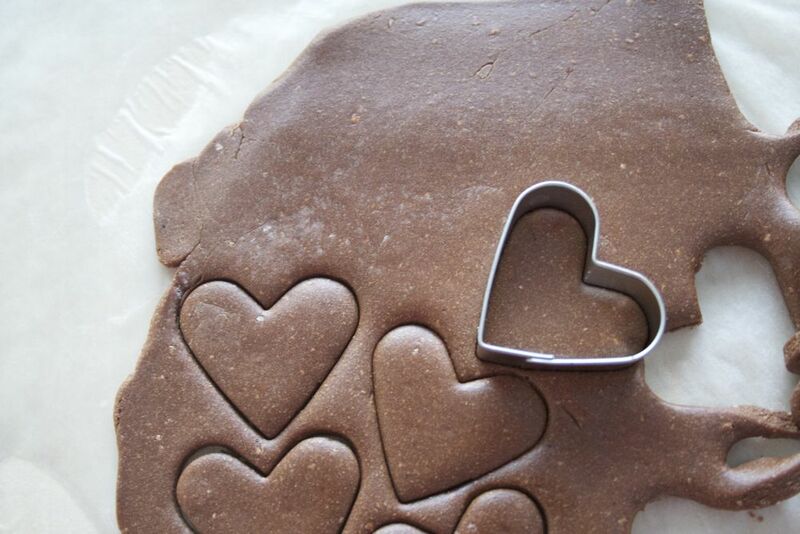 Shape into hearts by rolling into a ball, cleaving it and pressing sides down ~or~ roll out like dough & use cookie cutters. Wrap in waxed paper or store in airtight container. That is, if you don't eat them all the second they are done (like we usually do). How fun! I think we might need to try these! Thanks for the recipe. My husband totally LOVES Tootsie Rolls...I really need to make these this weekend!! Okay, I love them too. So I would mainly be making them for myself. That's okay, right? Thanks for sharing...these look awesome!!! thanks for sharing Cheryl, these are just perfect for Valentine's Day! These look delish and easy, and they are so so cute! Wow, those look delicious (and not too complicated)! I've gotta try them :) Btw, thanks for hosting your linky parties! I would looove it if you could link up my Sunday Linky Party under your Link Parties section :) Please check it out here! so cute! I thought they were just rolled out tootsie rolls at first, but then i saw the recipe! impressive! sounds yummy too! thanks for sharing! has anyone that made these think they taste just like the real tootsie rolls?